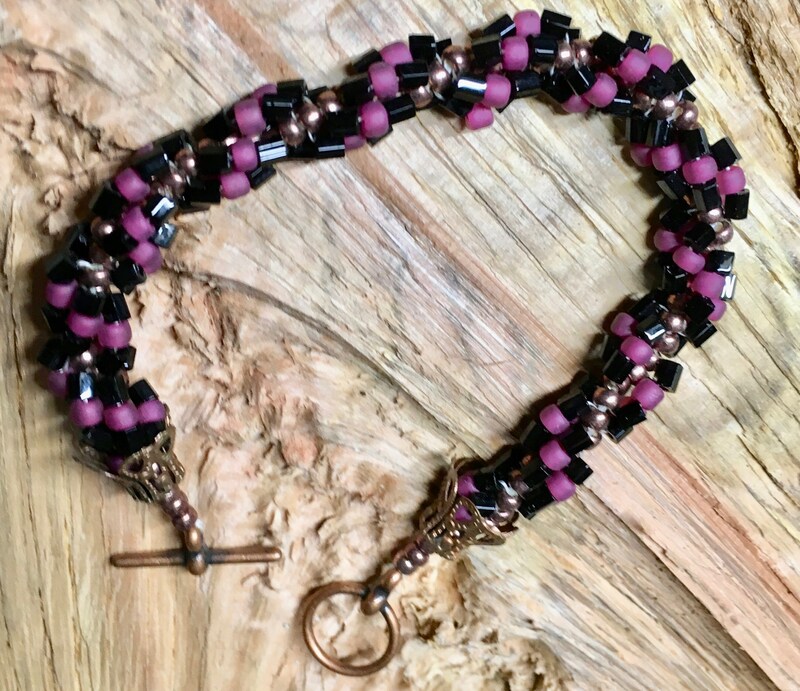 Elegant statement piece spiral woven bracelet in stand out colors of fuchsia and black with a metallic copper core. 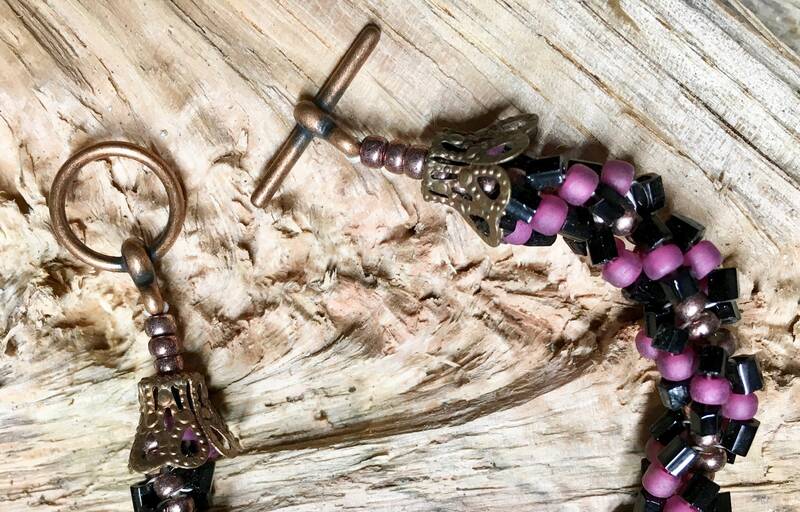 Bead woven snake-like bracelet is soft and flexible, and feels great on your wrist. Length is 7-1/4 inches. 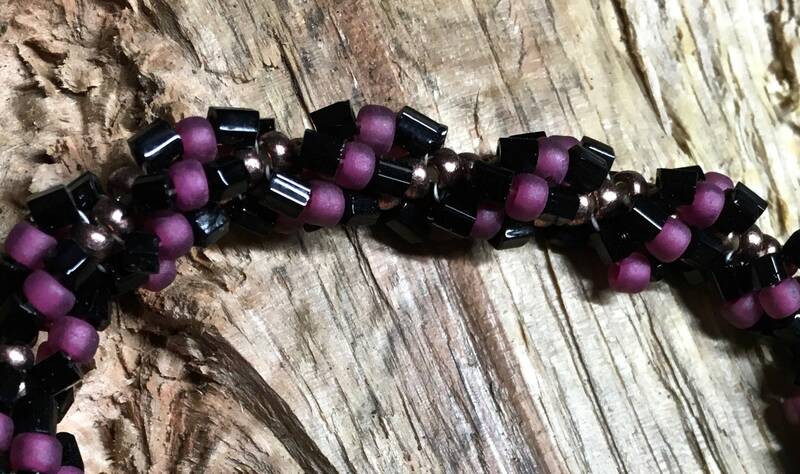 Bracelet is filled with tiny glass round and hex shaped seed beads. Finished with antique copper lacy end caps and toggle clasp. One of a kind! 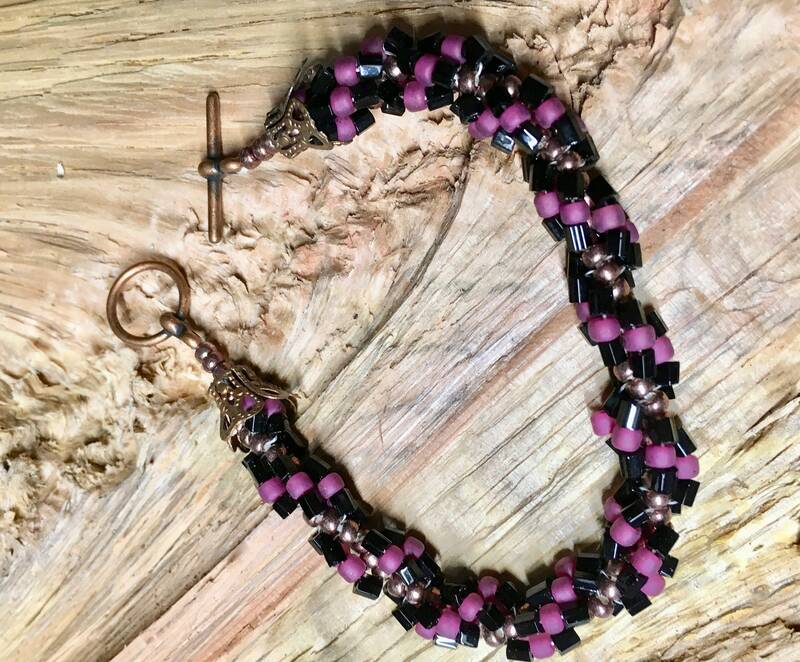 Treat yourself or surprise someone with a gift of hand woven jewelry!